vs the Word -- Reaching and Understanding your Child -- How a Good Mom can be a Better Wife. An electronic, reproducible study guide is also included for group study or personal reflection. All for one low price. I have listened to this CD set more than once and it rejuvenates me every time. I recommend it to any woman who wants or needs spiritual renewal or just a reminder of God's calling. 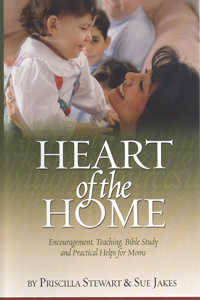 It gives encouragement and practical advise on discipline, teaching, and being a godly wife.